One of the most beautiful and historic cities in the world, Boston, Massachusetts. Taken from a boat ride over the summer featuring the skyline of so many skyscrapers and the open sky and bay! 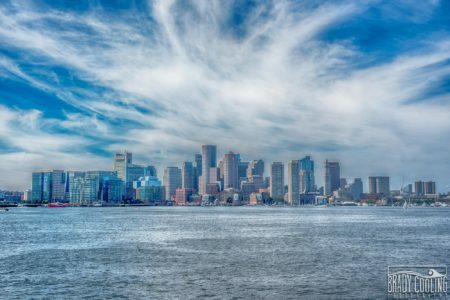 A view of the Boston Harbor taken from a boat with the city and sky open on the water!